SORRY - IT SOLD (12-19-12)! PLEASE CHECK BACK FOR OUR HIGH-QUALITY ONE-OF-A-KIND CARVINGS. WE'LL GET THEM ON OUR WEB SITE AS SOON AS POSSSIBLE! 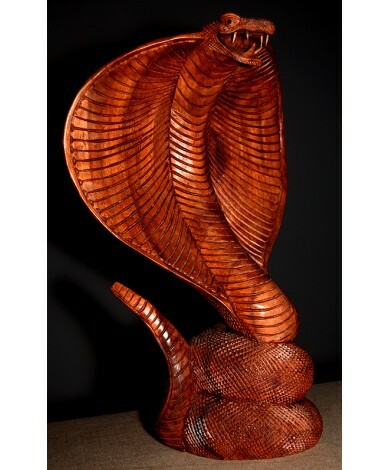 It's a one of a kind handmade / carved wooden King Cobra Snake whos detail is unbelievable. This is the only one in stock! There will never be another one like him. 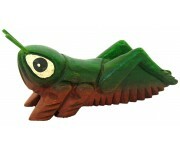 He is made of Eco-Friendly Suer wood and NO POWER TOOLS were ever used to create him. 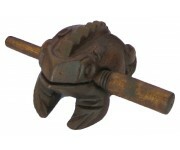 As a special promotion for our new web site, we are letting him loose at this great price. Please click on the various photos to see the detail that went into this reptile. The King Cobra sits 15 3/4" high, the width of his hood is 10 1/2", the base is 5" with a total front to back depth of 5 3/4". 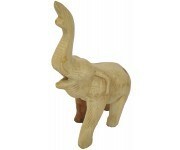 It was carved in an Eco-Friendly Fair Trade work environment in Thailand.